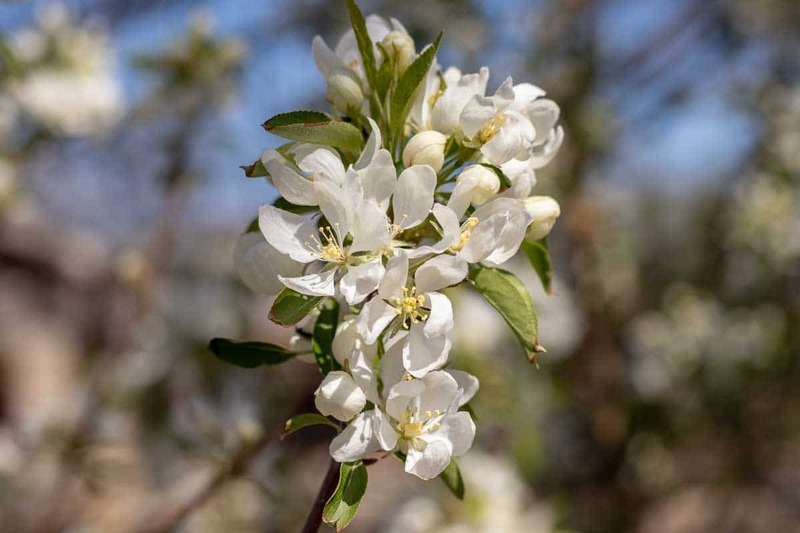 Crabapple Spring Snow - Tree Top Nursery & Landscape Inc. This crabapple is one of the true fruitless varieties. It has pure white blooms that appear every spring. It has upright, dense branches and rich green foliage. It grows to 20 to 25 feet tall and 15 to 20 feet wide. This tree works well near driveways and patios since it is very clean. It prefers full sun and moist, well-drained soil, but will adapt to a variety of soils. It is somewhat drought tolerant once established.